The piece you see to the left is the work of Chalkmaster David Johnston. 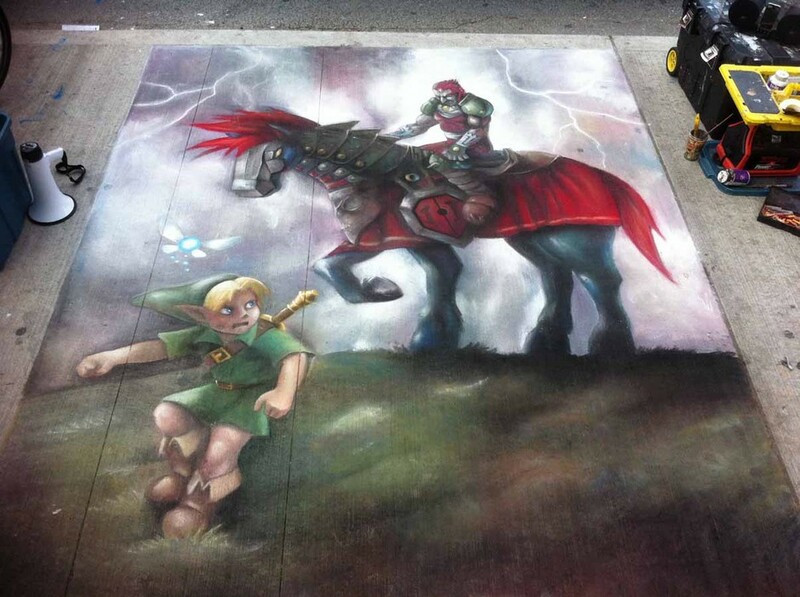 He created a life-sized chalk replication of the well known piece of Ocarina of Time official artwork. The project got the recognition of Nintendo of Canada and they went out and took some pictures of the project in action. Now, you cannot see from just the completed picture to the left, but this thing was ginormous. You can click the image to the left to see a large version of the completed piece. Also, be sure to head on over to Examiner to see a slide-show of pictures as the project unfolded.